Stay ahead of the latest trends for your next special celebration with this very fashionable Split in Two Flowers Cake. Four tiers of delicious cake, split in two with a wonderful array of flowers climbing up through the inside of the cake. 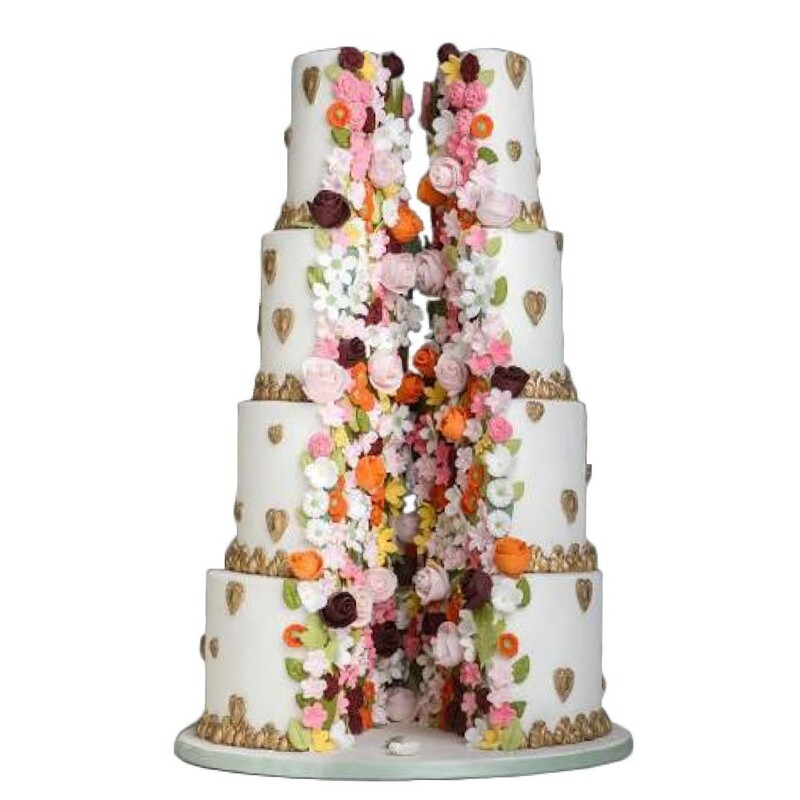 Stay ahead of the latest trends for your next special celebration with this very fashionable and bold floral wedding themed cake. 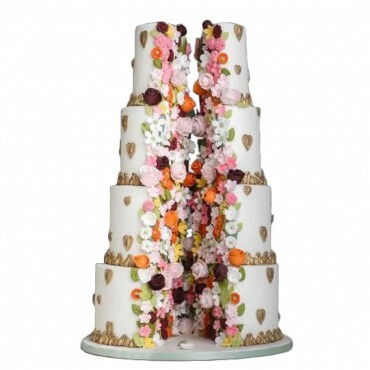 The Split in Two Flowers Cake comes with four tiers of delicious cake, split in two with a wonderful array of flowers decorating the inside of the cake.